This is my Aunt’s recipe and it’s an all-time family favorite. The ground garlic, paprika and pepper give it an amazing flavor. And it’s really easy to make. 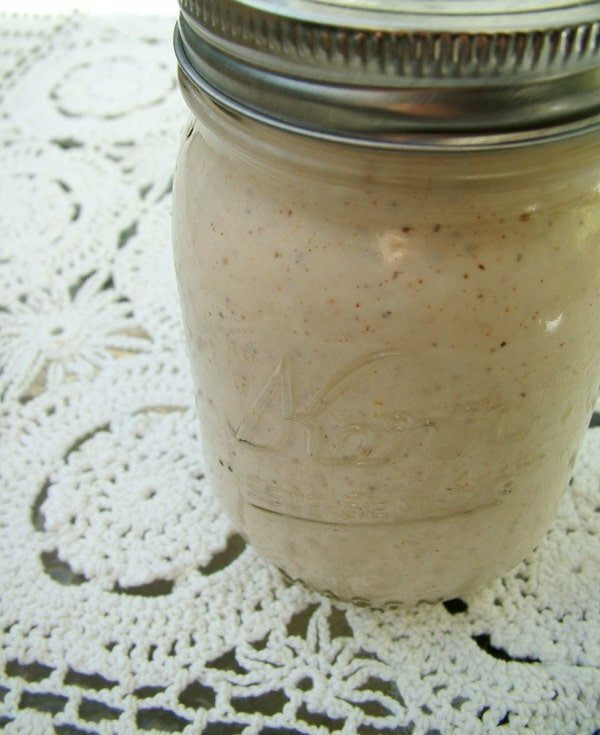 I like having mason jars on hand for making recipes like this because all the ingredients go right into the jar. 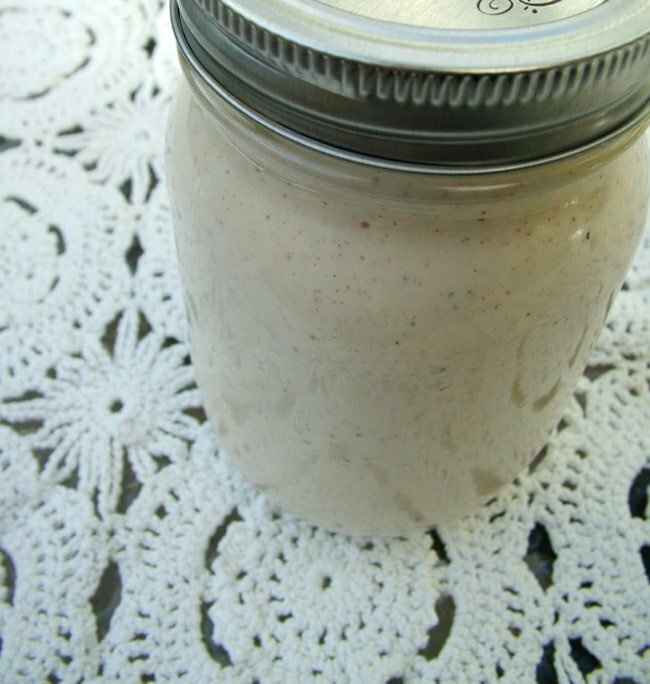 Then you give it a shake before serving and any leftovers go right in the fridge, jar and all. 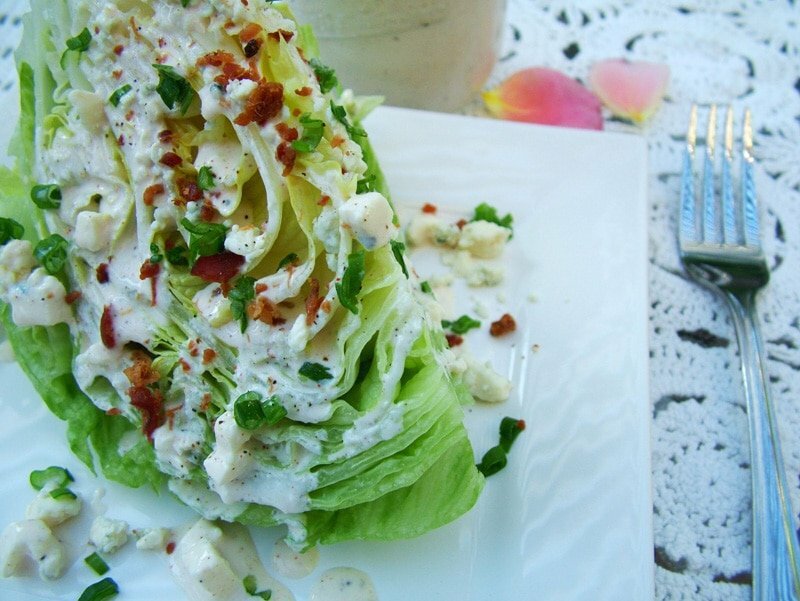 This dressing is delicious on a wedge of iceberg lettuce with crumbled bacon, additional blue cheese, and chopped green onions or chives. It’s also a great dip for a veggie tray. Included in the picture below is a rose for my Aunt who was the kindest person I’ve ever known. 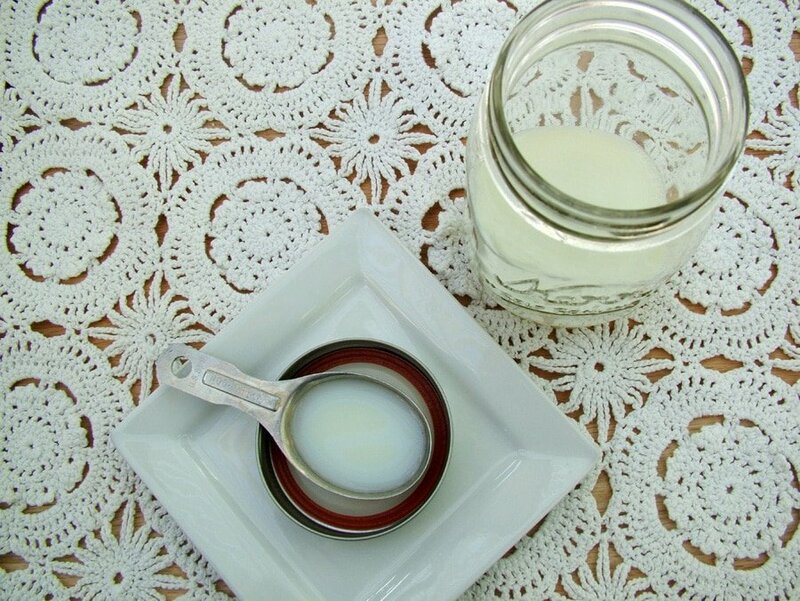 Mix the dressing base (milk and vinegar) separately in a cup or mason jar. Mason jars are so useful for recipes like this. 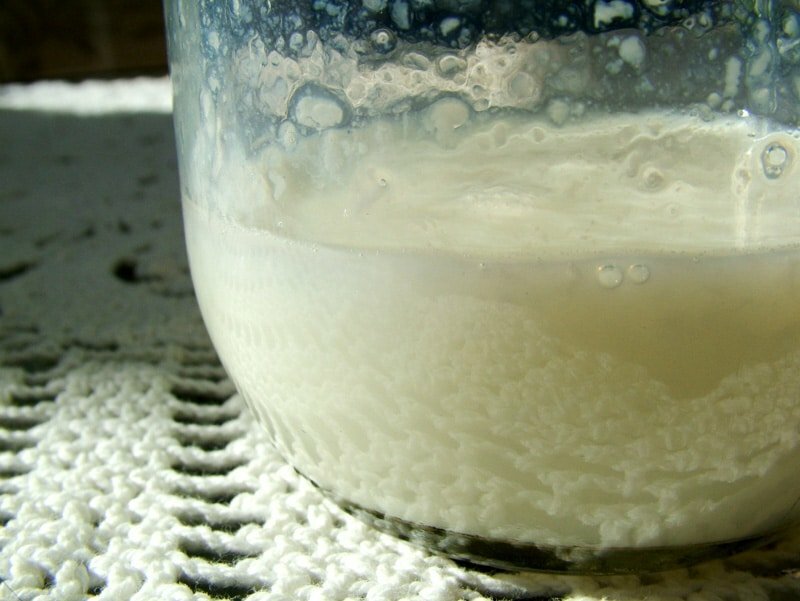 Let sit until mixture thickens a bit (curdles). It should take about 15 minutes. 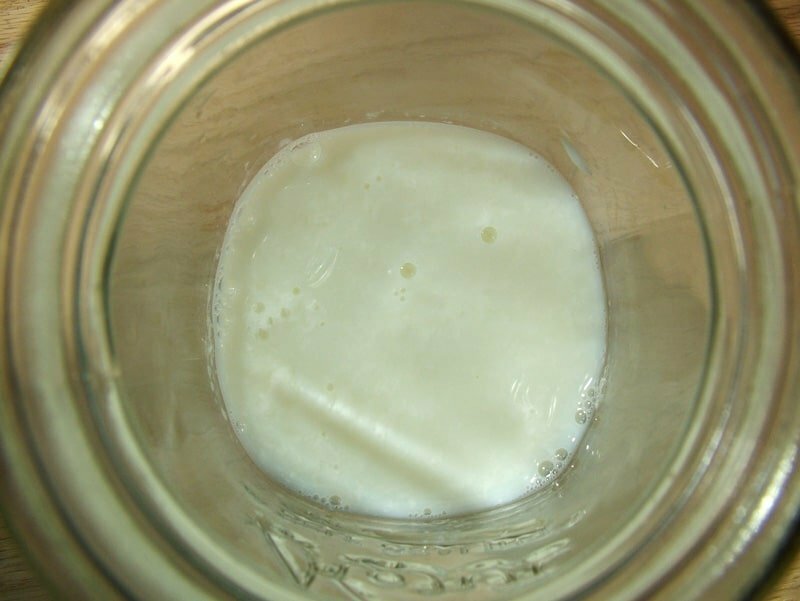 You can see the liquid changing consistency fairly quickly. 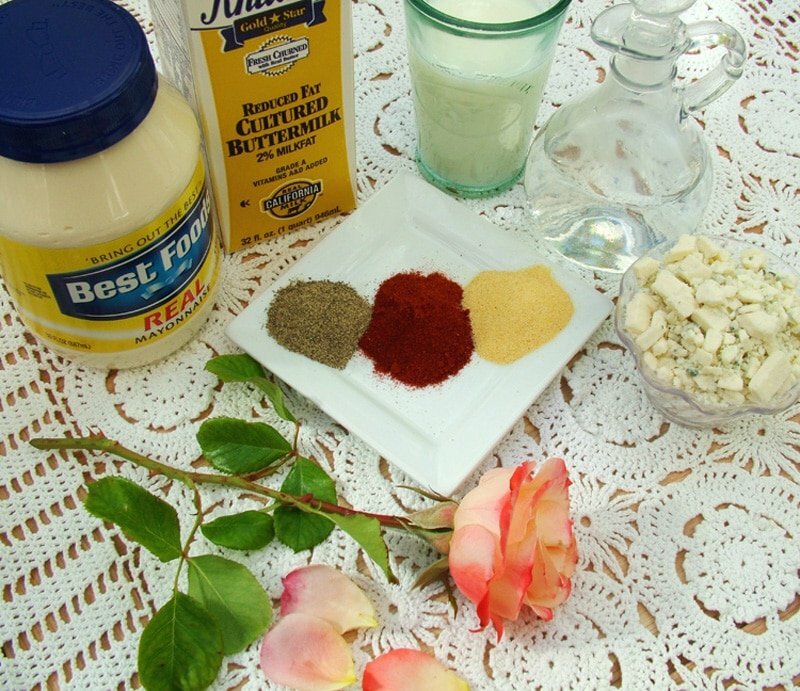 Add all of the other ingredients in with the dressing base. 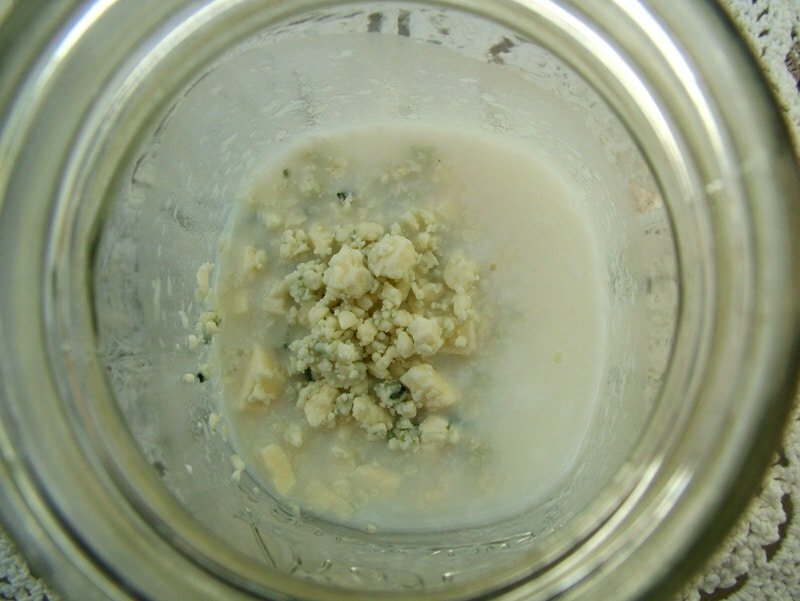 Here is the blue cheese added to the dressing base. And here are the spices added to the dressing base. 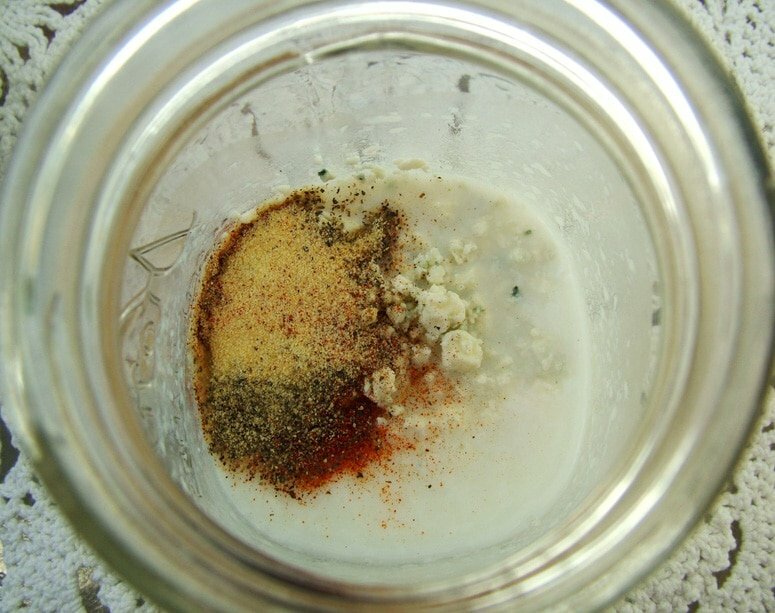 After adding all of the ingredients to the dressing base, give it a good shake (or stir). It’s turns a pretty color like this. 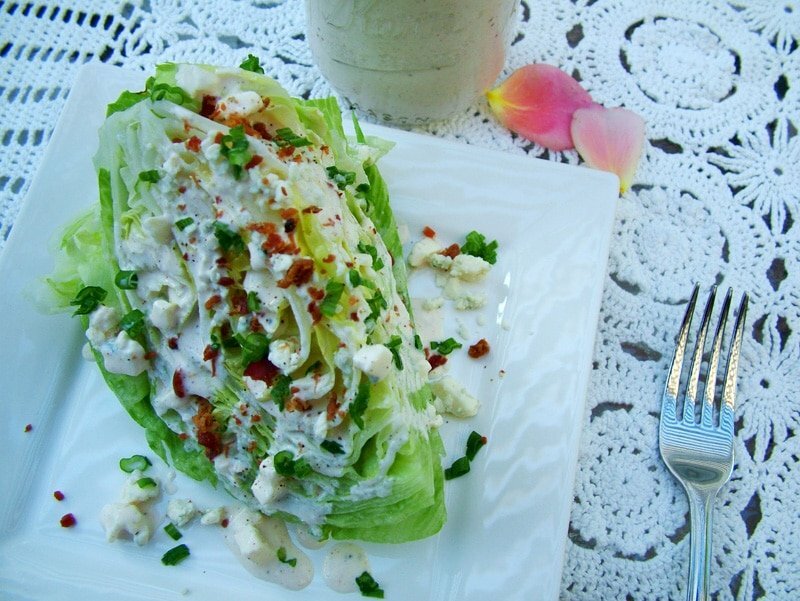 Serve over a wedge of iceberg lettuce and top with crumbled bacon, more of the blue cheese, and chopped green onions or chives. 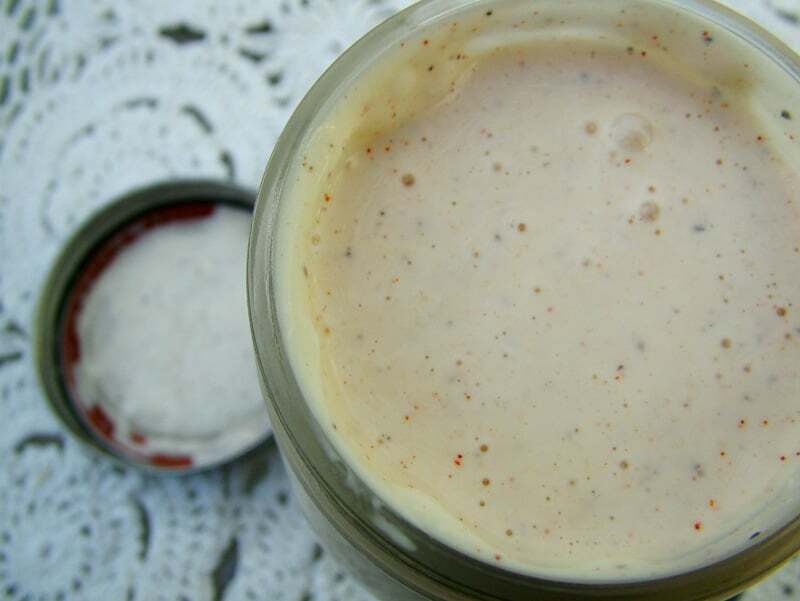 A quick, easy and delicious salad dressing for the salad of your choice. 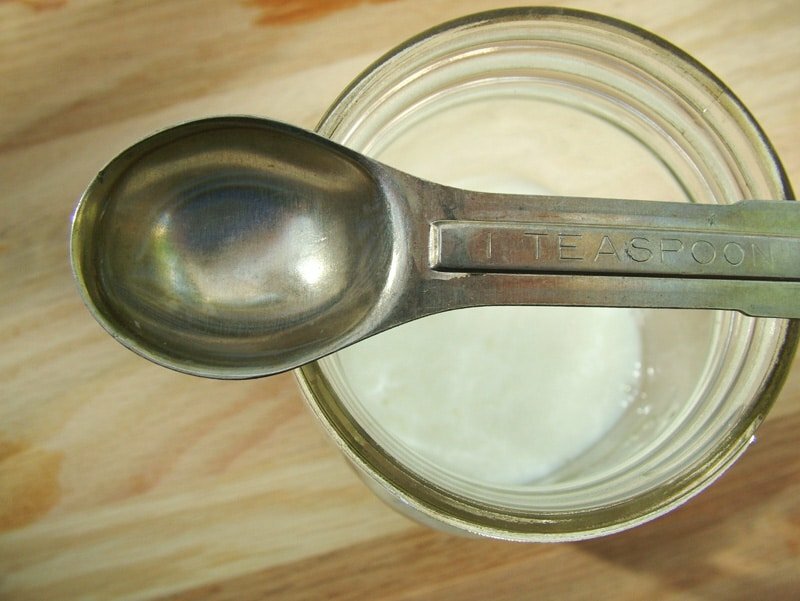 In a mason jar, or medium size glass pouring-type measuring cup, add milk and vinegar. Mix together. Let sit until the mixture thickens a little (curdles) (about 15 minutes). 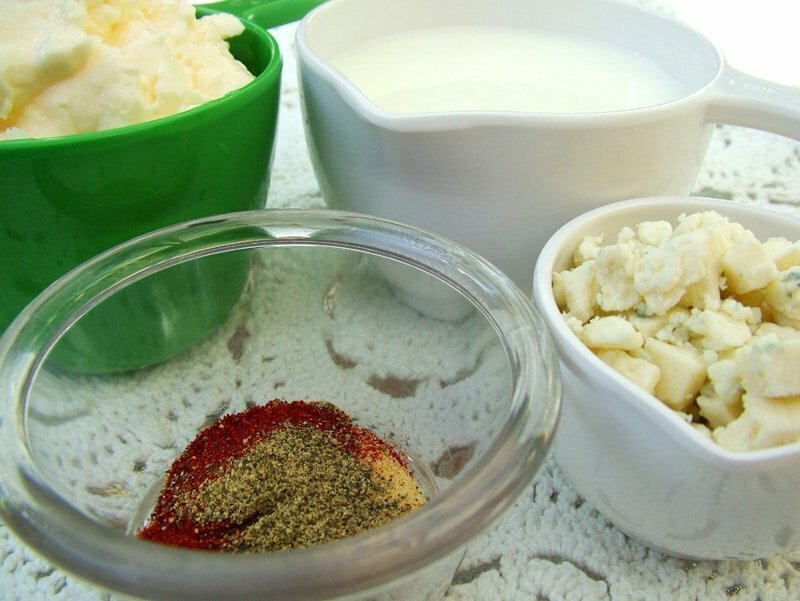 To the dressing base, add mayonnaise, buttermilk, crumbled blue cheese, granulated garlic, pepper and paprika. Whisk (or shake) the ingredients together. 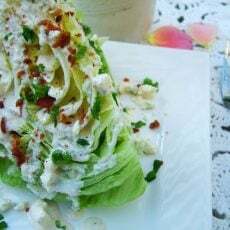 Serve right away or serve chilled over a wedge of iceberg lettuce and top with crumbled bacon, more blue cheese, and chopped green onions or chives. Or serve over the salad of your choice.